Thursday, May 7th, 2015, 7 p.m.
Join us as author Deborah Cramer presents her marvelous journey following the endangered red knot across two continents from remote Tierra del Fuego to the icy Arctic, in The Narrow Edge: A Tiny Bird, an Ancient Crab, and an Epic Journey. Every May, horseshoe crabs emerge from the waters of Delaware Bay to breed and to lay their eggs on the beach. The appearance of this prehistoric-looking animal is closely followed by the arrival of thousands of red knots, a migrating shorebird that feeds on horseshoe crab eggs en route to its arctic breeding grounds from the southern tip of South America, an astonishing 9,000-mile journey. This amazing scene inspires science and nature writer Cramer ("Great Waters; Smithsonian Ocean") to follow the knots on their long journey, visiting locations such as Tierra del Fuego, the Texas Gulf Coast, and Southampton Island. Along the way, the author encounters threats to each species such as pollution, global warming, and eroding shorelines while chronicling the heroic efforts of birders, scientists, and environmentalists working to protect the creatures. Furthermore, Cramer demonstrates how red knots, horseshoe crabs, and human beings are intimately linked. Indeed, she expresses the connectedness of all living beings and why conservation is vital in today's world. This highly readable and important work is recommended for birders, ecotourists, and anyone with an appreciation for the wonders of the natural world.--Dave Pugl, Ela Area P.L., Lake Zurich, IL Copyright 2015 Library Journal, LLC Used with permission. A major book about the future of the world, blending intellectual and natural history and field reporting into a powerful account of the mass extinction unfolding before our eyes Over the last half a billion years, there have been five mass extinctions, when the diversity of life on earth suddenly and dramatically contracted. Scientists around the world are currently monitoring The Sixth Extinction, predicted to be the most devastating extinction event since the asteroid impact that wiped out the dinosaurs. This time around, the cataclysm is us. In The Sixth Extinction, two-time winner of the National Magazine Award and "New Yorker" writer Elizabeth Kolbert draws on the work of scores of researchers in half a dozen disciplines, accompanying many of them into the field: geologists who study deep ocean cores, botanists who follow the tree line as it climbs up the Andes, marine biologists who dive off the Great Barrier Reef. She introduces us to a dozen species, some already gone, others facing extinction, including the Panamian golden frog, staghorn coral, the great auk, and the Sumatran rhino. Through these stories, Kolbert provides a moving account of the disappearances occurring all around us and traces the evolution of extinction as concept, from its first articulation by Georges Cuvier in revolutionary Paris up through the present day. The Sixth Extinction is likely to be mankind's most lasting legacy; as Kolbert observes, it compels us to rethink the fundamental question of what it means to be human. Charles Dayton and Sara Evans will visit City Lights Bookstore on Friday, October 17th at 6:30 p.m. for a discussion on climate change and mass extinction. 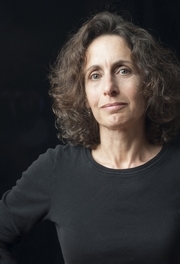 Evans will review The Sixth Extinction by Elizabeth Kolbert, a book about the increase in mass extinctions and the impending ecological collapse caused by man’s disharmony with the natural world. Dayton will speak and present slides about the impact of climate change on the ocean’s ecology, which is also discussed in The Sixth Extinction. Charles Dayton is a retired environmental lawyer who practiced in Minneapolis for 40 years, representing environmental groups as well as corporations. He led the fight in the 1970s to increase the Wilderness protection for the Boundary Waters Wilderness, and was named by the Minnesota Chapter of the Sierra Club as the Environmentalist of the Decade for that and other work. Mr. Dayton spent 2 and a half months on a sailing trip in the South Pacific in the summer of 2013 on a voyage to survey the health of Coral reefs. Since his retirement from Leonard, Street and Deinard in 2003, he has also worked as a volunteer at the Minnesota Center for Environmental Advocacy (MCEA), on energy and global warming issues. In 2006, Mr. Dayton received the Distinguished Service award from the Minnesota State Bar Association, given once each year by the Environment and Natural Resources Section. Sara Evans has lived part of every year in the NC mountains since early childhood. She was a professor of history at the University of Minnesota and is the author of several books including Born for Liberty: A History of Women in America. She and her husband Charles Dayton live in Waynesville during the spring and fall. Manchester: Elizabeth Kolbert "The Sixth Extinction: An Unnatural History"
The Sixth Extinction is a major book about the future of the world, blending intellectual and natural history and field reporting into a powerful account of the mass extinction unfolding before our eyes. Kolbert provides a moving account of the disappearances occurring all around us and traces the evolution of extinction as concept, from its first articulation by Georges Cuvier in revolutionary Paris up through the present day. The Sixth Extinction is likely to be mankind's most lasting legacy; as Kolbert observes, it compels us to rethink the fundamental question of what it means to be human. The Northshire Saratoga Truth & Tales Reading Group will meet at the Around the Corner Cafe on Thursday, June 19th at 6:30 pm to discuss, The Sixth Extinction: An Unnatural History, by Elizabeth Kolbert. We currently have a full group of excited readers, but if you would like to join our waiting list or need more information, contact Maeve at mnoonan@northshire.com. Elizabeth Kolbert reads from Field Notes from a Catastrophe: Man, Nature, and Climate Change. Elizabeth Kolbert's book The Sixth Extinction was available from LibraryThing Early Reviewers. Elizabeth Kolbert is currently considered a "single author." If one or more works are by a distinct, homonymous authors, go ahead and split the author. Elizabeth Kolbert is composed of 5 names. You can examine and separate out names.